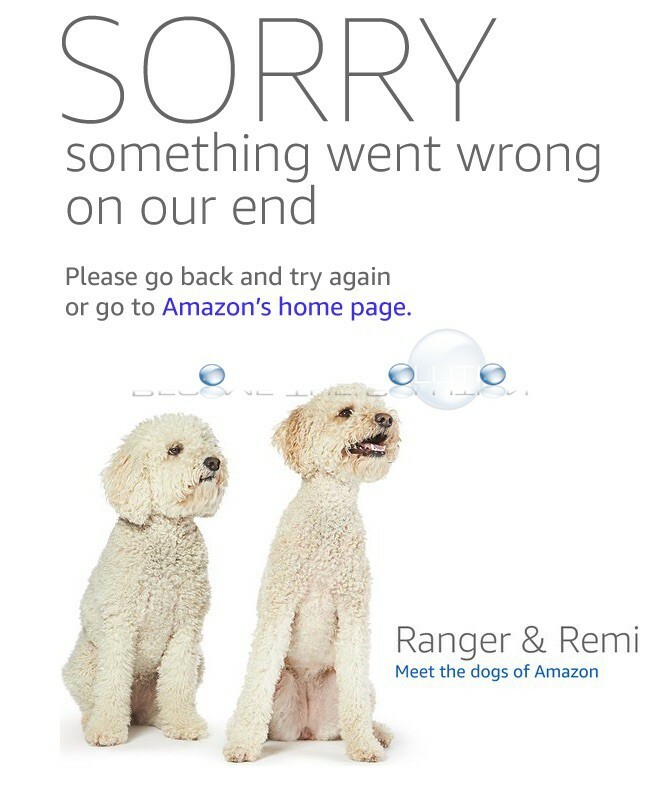 If you are browsing Amazon.com you may receive a dog-friendly message after clicking a link or searching for a product. Sorry something went wrong on our end. 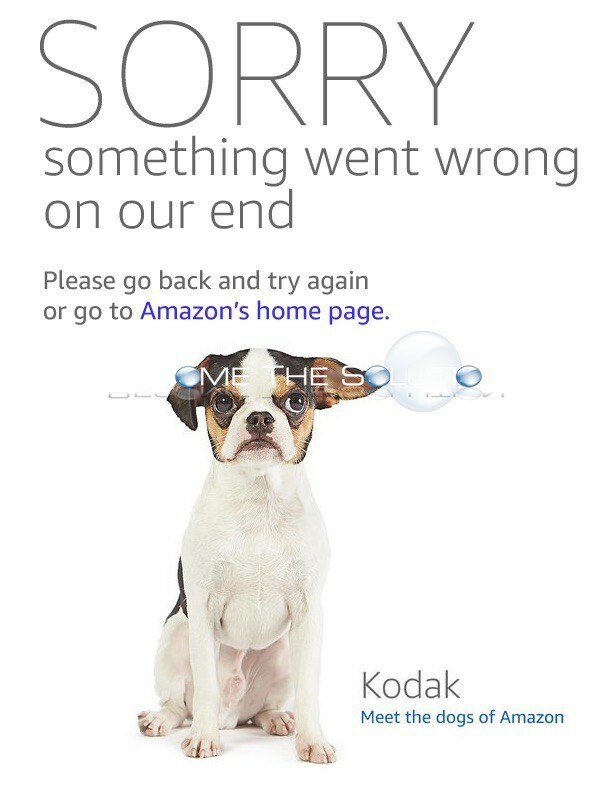 Please go back and try again or go to Amazon’s home page. This is a general message Amazon displays on their website when they cannot serve a website request, also known as an HTTP or HTTPS request. 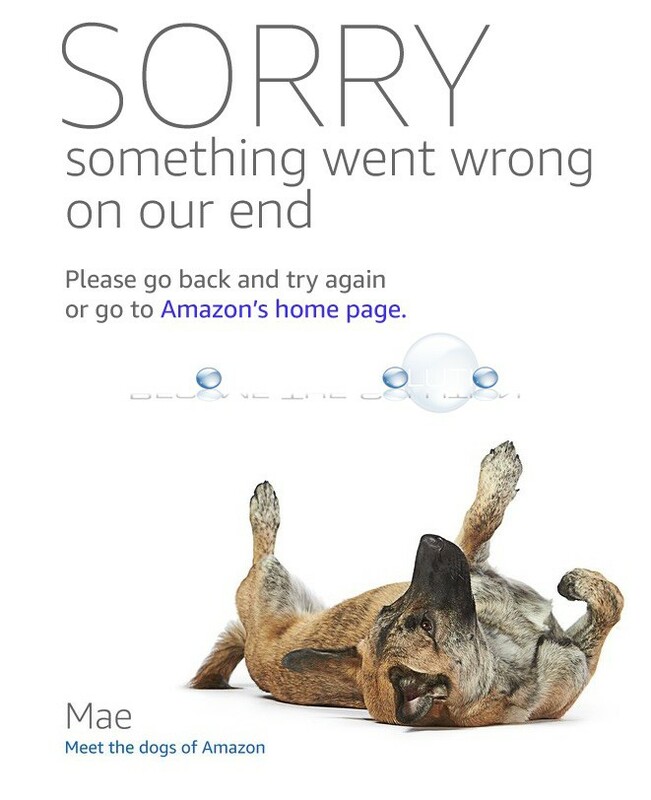 During website high load periods (such as Amazon Prime day) this message may appear more frequently than normal. 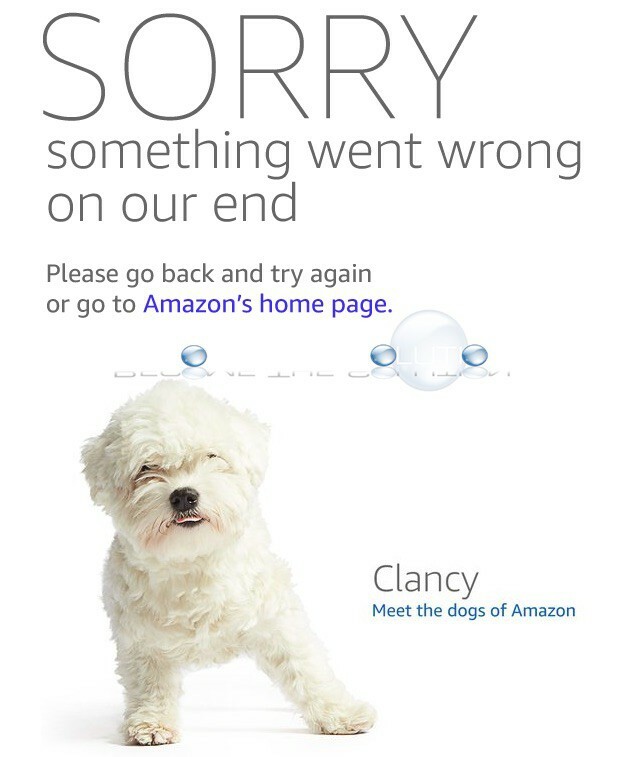 If you cannot get past the message, simply wait a few minutes and try browsing Amazon.com again. Typically, refreshing the Amazon page resolves this message and usually allows Amazon shoppers to continue browsing and add products to their cart. 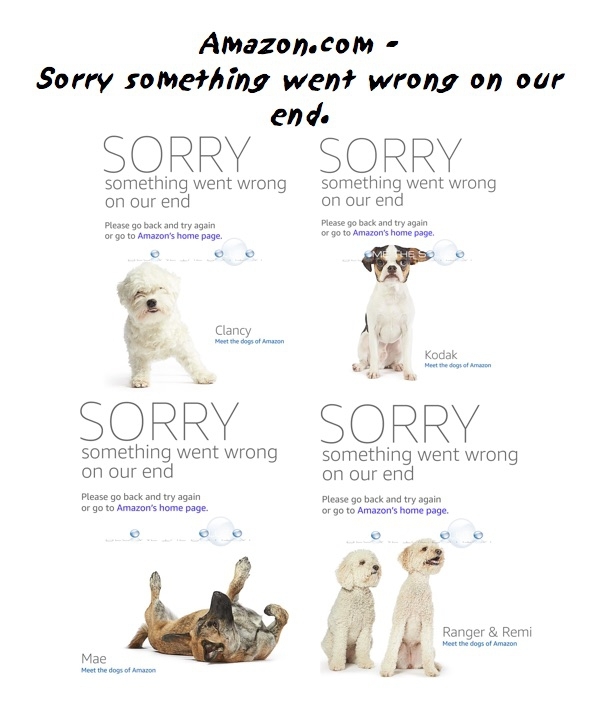 Here’s a nice collection of Amazon sorry something went wrong on our end messages and cute doggies.